888 is one of the most recognized brands in the online casino world. 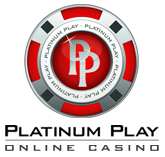 Known for the amazing experience that is brought by products that are developed by them, with products I mean all kinds of gambling as 888 also offers online poker, casino, betting and bingo services. Since launching in 1997, the group has served 13 million customers worldwide – yep, thirteen million. I’m guessing it’s fair to say that questioning the credibility of this gambling company is out of question. Their casino is powered by a number of online gambling software developers including the big guns such as PlayTech, IGT and on top of that, a number of games are developed by their own company – Cassava Enterprises. 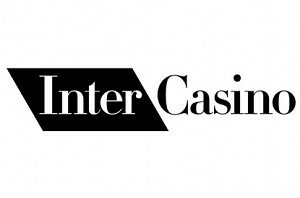 If you’re looking for unique and innovative games, you’ve found the right casino to play them at. 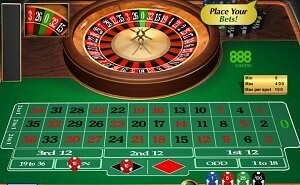 European Roulette – the classical type of Roulette and one that is played & offered at just about any casino in the world. Play this single zero wheel roulette and enjoy a low house edge of 2.5% that allows you to have more winning streaks and a better shot at having a nice pay-day! 3D Roulette – a more innovative type that displays the Roulette wheel as a 3 dimensional one, giving the closest feel of reality you can get. It’s ”based” on European Roulette rules and features a single zero wheel and table layout. Live Roulette – nearest brick & mortar casino is too far from your home? That’s nothing to be worried about as 888 brings an exceptional live casino experience to the table. Dealt by stunning female dealers in real time this variation will certainly get some adrenaline pumping in you. Rockin’ Roulette – when we saw this variation, it really amazed us. Rockin’ uses the concept of lottery games where the winning number is determined under the glass dome and takes it to the Roulette table. Winning number will be determined by the software that choses a ball from the glass dome.